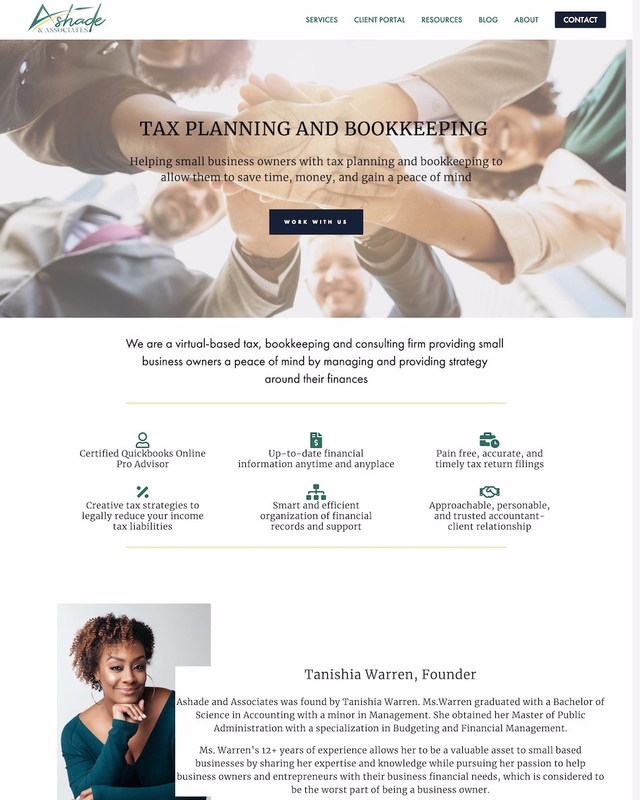 Squarespace Website Design | JNL Media Co.
Personable, strategic, and professional websites so that you can stand out from the competition. Has tweaking and fumbling with your site become a weekly struggle? You’ve bookmarked alllll the sites you love just to end up with a Frankenstein looking site OR maybe you don’t even have your site up yet because you’ve been avoiding it altogether. Yea, social media is super important but it’s like being in a noisy party … Instead, feel confident about inviting them over to your online home so that they get to know you better. I'll take you through my 5-week web design framework for gaining *immediate* online credibility and conversions. A site that works alongside the rest of your marketing strategy and positions you as an expert in your industry. A beautiful and optimized site that showcases your brand and brings in your ideal client. A 5-week framework that’s built to help you can focus your energy on serving your clients and reach your version of freedom. How does it all work exactly? Kick off call . . .
To kick things off, you’re gonna be completing client questionnaires + a Pinterest inspiration board that will help me step into your biz. We’ll be hopping on a call to review the questionnaire & explore the different parts of your business and new brand/site. Strategy Call & Site Map Layout . . .
We’ll work out the general layout for your website and what elements will be going in each page ex: testimonials, newsletter block, sidebar, etc.. + how your website fits into the rest of your digital marketing strategy. Website Content . . .
I’ll walk you through the website copy framework (that you get as a bonus) so you’re able to create copy that flows and speaks to your ideal clients pains/desires. Together we will be creating a tagline that is catchy and captures the real reason why someone should work with you. Mood board + Color Palette . . .
A Mood board is super important because it helps us agree on a visual representation of the style and feel of your brand so we’ll be finalizing your mood board & color palette this week. Homepage Wireframe . . .
I’ll be sending you over a wireframe of your homepage so you get a good idea of the visual flow of it. We’ll also finalize all the images that will be going on your website. Style tiles visually communicate the actual interface elements of your site and consist of your fonts, colors, button colors/shapes, and logo, to show how your brand identity will look on your site. Homepage Mockup . . .
Once you approve your homepage wireframe and style tiles I’ll be creating your fully functional homepage mockup. Build out . . . While you’re busy focusing on the parts of your business you enjoy, I will be over on Squarespace designing your new on brand site! Week 5 | Edits and Launch! During this last week you’ll be reviewing your whole fully functioning website and sending me over any edits that you’d like to see (unlimited edits during this review period). 1:1 Live Website Walkthrough . . .
I’ll be walking you through the back end of your site and showing you have everything works! Launch day! It’s time to celebrate all the hard work you’ve put into your business and celebrate! Congrats! Launch day social media graphics so you’re ready to promote your new site! Is Squarespace right for me? . . .
What if I already have a website, can I move it to Squarespace? . . .
Of course! After moving your existing site to Squarespace you can either connect or transfer your domain to Squarespace. When I move to Squarespace does my content move automatically?. . .
Not automatically but it's possible to move most content! How much does Squarespace cost? . . .
You'll pay either $12 month (if you pay for the year) or $18 a month (on the month to month plan). I always recommend the annual plan so that you get a free domain and professional g-suite business account free for a year! Plus you get to take advantage of my Squarespace circle 20% discount if you get the year plan! Oh, and you get a free Acuity Emerging Entrepreneur plan free foreEVER! Can I keep my current domain? . . .
Yea! You can either connect or transfer your domain to Squarespace. How much time commitment is required on my part? . . . Most of the time commitment from you will come from our calls, client questionnaires, creating your Pinterest inspiration board, revisions, and putting together your website copy/images. Since this is a collaborative process I do ask that you respond within 24 hours to any edit requests or additional info I need from you. Why do I have questionnaires and live calls with you? . . .
Well, I want to uncover who you are and how we will create the vision you have for your biz site & brand! I want to step into your shoes and learn about your ideal client, your goals, the brands/websites that inspire you, and more. Do you offer website maintenance? . . .
Nope. My goal is to give you all the tools necessary in order for you to be able to manage all the back-end stuff. Don’t worry if you're not very tech-savvy, we will be having a one-hour live website walkthrough where I will show you how to manage your new site. If you do need to add pages in the future then you can reach out when that time comes and I will be more than happy to help out!